The ROROs (Roll-on, Roll-off ships) first came to the Philippines at the end of the 1970’s and in the 1980’s it began to multiply in Luzon and the Visayas. From the moment the ROROs arrived it was already obvious that they were superior to the cruiser ships and that a new paradigm has arrived and the cruiser ships were already headed to obsolescence. However, the ROROs did not multiply fast in general in the 1980’s because it was a decade of great economic and political crises when the value of the peso plunged and inflation was unchecked. At the height of the crisis of the 1980’s almost no loans were available, few foreign currency was available (that it even lead to the creation of the “Binondo central bank) and the interest rates were skyhigh that it was almost suicide to take a loan especially at foreign-denominated one. That difficulty was reflected in that the first RORO liners and overnight ferries in the country acquired at the peak of this crisis up to 1986 were small and were generally just in the 60 to 70-meter length class only and barely over 1,000 gross tons. Among the examples of those were the Surigao Princess, Cagayan Princess, Boholana Princess, Sta. Maria (of Nenaco and not Viva Shipping Lines), the Viva Sta. Maria and Marian Queen of Viva Shipping Lines and the many ROROs acquired by Carlos A. Gothong Lines like the Dona Lili, Don Calvino, Dona Josefina, Don Benjamin, Dona Casandra, Dona Cristina and the third Sweet Home of Sweet Lines. The notable exceptions in this period were the Sweet RORO and Sweet RORO 2 of Sweet Lines and the Sta. Florentina of Negros Navigation but the three were not really that big (as in 110 to 120 meters LOA). Many liners shipping companies did not bother to purchase a RORO ship in this period like William Lines, Aboitiz Shipping, Lorenzo Shipping, Escano Lines and the moribund Compania Maritima, the erstwhile biggest passenger shipping company. 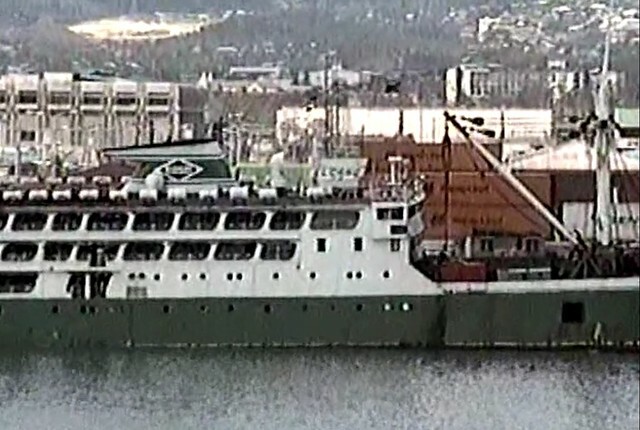 However, if Luzon, the Visayas and Northern Mindanao already had RORO ships in this period described, Zamboanga and Southern Mindanao did not see a RORO liner until 1988 when Sulpicio Lines fielded the Cotabato Princess in the Manila-Iloilo-Zamboanga-Cotabato route and Trans-Asia Shipping Lines Inc. fielded the Asia Korea (the latter Asia Hongkong and the Reina del Rosario of Montenegro Shipping Lines) on the Cebu-Iloilo-Zamboanga-General Santos City route and that RORO ship is actually 82.8 meters in length which is about the size of small liners then like the Our Lady of Guadalupe which arrived in 1986 for Carlos A. Gothong Lines and was 89.7 meters in length. With the overthrow of the dictatorship in 1986 and the general bettering of the economic conditions starting in 1987 the RORO ships being purchased were beginning to get bigger and more many as the difficulty of lending from banks and the interest rates eased and there was new economic optimism. 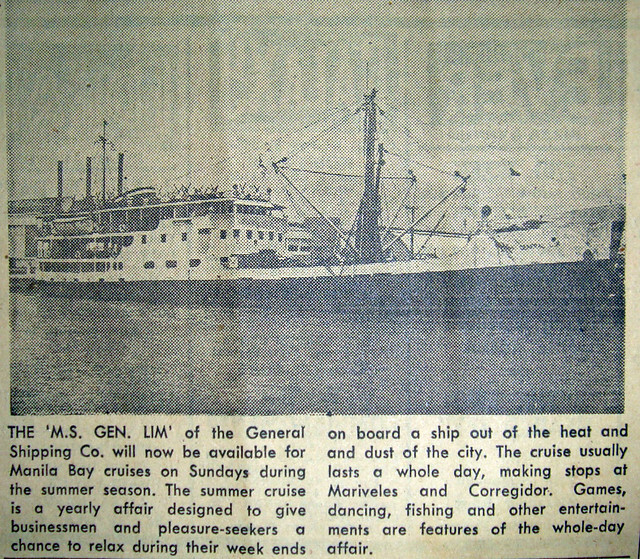 The fielding of RORO liners in Zamboanga and Southern Mindanao was not fast at first. In 1989, the Zamboanga City of William Lines came when it did the Manila-Iloilo-Zamboanga route before replacing their burned (in the shipyard) Manila City in the Manila-Zamboanga-Davao route. In 1992, the big but slow Maynilad of the William Lines came and replaced the Zamboanga City in that route and the Zamboanga City was given the Manila-Iloilo-Cotabato-General Santos City route instead to battle the Cotabato Princess (with she bypassing Zamboanga port her travel time to Cotabato was shorter). 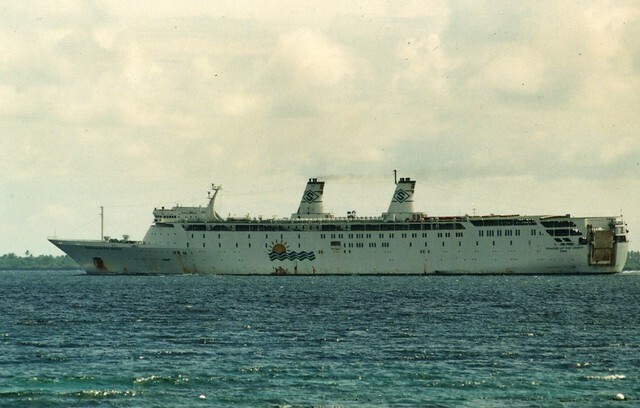 Sulpicio Lines only fielded their second RORO liner in Southern Mindanao when the Manila Princess came in 1992 to replace their cruiser Davao Princess in the Manila-Cebu-Davao route. Actually during that time the only shipping companies with passenger service still remaining to Zamboanga and Southern Mindanao were Sulpicio Lines, William Lines and Sweet Lines. Such was the effect of the political and economic crises of the 1980’s and the coming of the container ships. Among those who quit Zamboanga and Southern Mindanao then in passenger shipping were Compania Maritima, Aboitiz Shipping and Lorenzo Shipping. The slowness of the coming of the RORO liners in Zamboanga and Southern Mindanao can be counted this way. In 1992, four years after the first coming of the RORO liners, the southernmost portion of the country only had 4 RORO liners, the Manila Princess and Cotabato Princess of Sulpicio Lines and the Maynilad and Zamboanga City of William Lines (Sweet Lines only had the cruiser Sweet Glory in the route). Well, actually there were not that many liners here compared to the Visayas and Northern Mindanao as most cargo in the region was actually carried by the container ships which outnumber the RORO liners. However, Zamboanga and Southern Mindanao RORO liners were generally bigger than the Visayas and Northern Mindanao RORO liners, on the average. It was starting in 1993 that fielding of RORO liners to the southernmost part of the country accelerated. 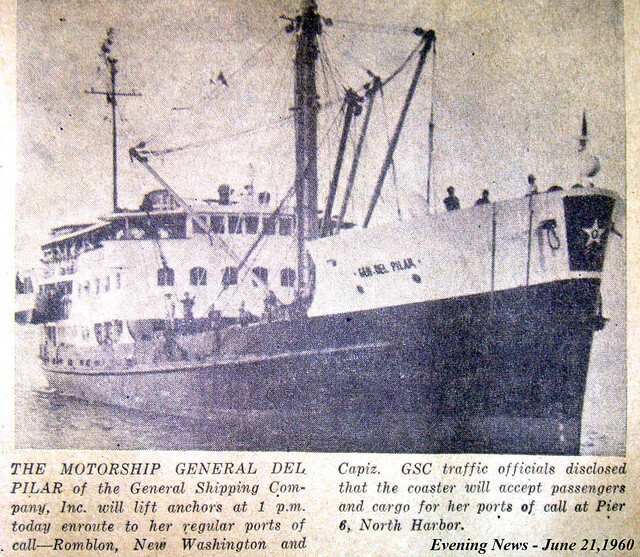 More RORO liners were actually coming in the country because of the incentives laid by President Fidel V. Ramos. The Princess of the Pacific of Sulpicio Lines came and did the Manila-Iloilo-Zamboanga-Dadiangas route. Aboitiz Shipping came back to Southern Mindanao when they fielded the SuperFerry 1 in the Manila-Iloilo-General Santos-Davao route and their SuperFerry 3 did the Manila-Zamboanga-Cotabato route to the protest of William Lines in the latter which when not resolved resulted in the withdrawal of the liner Zamboanga City and subsequent reassignment of that ship to the Puerto Princesa route. Meanwhile, the super-big former flagship of Sulpicio Lines, the Filipina Princess replaced the Manila Princess in its route and this ship was subsequently assigned to the Manila-Zamboanga-Davao route to compete with the slow but bigger Maynilad. In 1994, the lengthened and rebuilt Sugbu which became the Mabuhay 3 of William Lines did the Manila-Davao-Dadiangas route. In 1995, just before the merger that produced WG&A no more further RORO liners came but Manila Princess was plagued by unreliability and was just being used as a reserve ship. When WG&A started sailing in 1996 there were heavy changes to the schedules and routes. Early in the merger, the Maynilad was doing the Manila-Dumaguete-Cotabato route and SuperFerry 3 was assigned her old Manila-Zamboanga-Cotabato route. 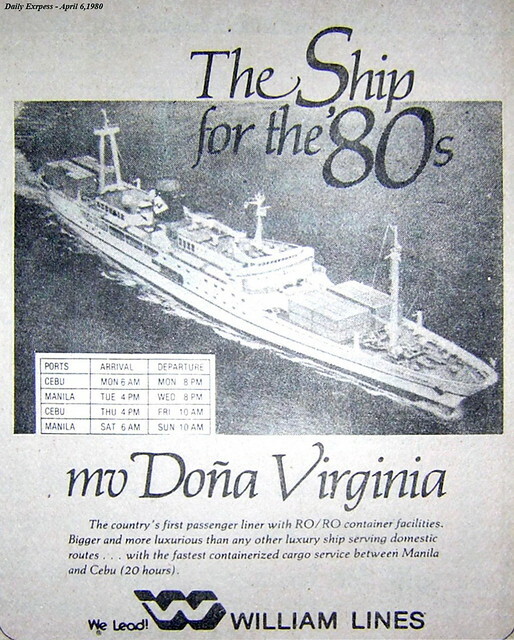 The Dona Virginia was fielded to the Manila-Zamboanga-General Santos City route and competing head-on with the Princess of the Pacific but she was only a half-RORO, half-cruiser. The SuperFerry 6 was doing the Manila-Surigao-Davao route in contest with the Filipina Princess. And the SuperFerry 1 was doing her old Manila-Iloilo-General Santos City-Davao route. There were more RORO liners now and RORO liners that have not been previously assigned to Zamboanga and Southern Mindanao reached ports here like the Our Lady of Akita of Gothong Lines which became SuperFerry 6 and the old flagship Dona Virginia of William Lines. It was exciting because new ships coming are exciting and because it is a new experience for the passengers. Along the years there were constant adjustments in the routes and fielding of ships of WG&A as more RORO liners came to their fleet and some liners were disposed off or were lost. Later, WG&A also turned into pairing of ships to do the same route. But it would be hard to mention here all the WG&A routes and schedules as it often changed and I will just risk accusations of inaccuracies and listing many by month will be too tedious. There was one more change in the area when Negros Navigation invaded Zamboanga and Southern Mindanao in their desire to become a national liner company and compete toe-to-toe with WG&A and Sulpicio Lines. The San Ezekiel Moreno was assigned the Manila-Iloilo-Zamboanga-General Santos route and competing against the Princess of the Pacific. And the San Lorenzo Ruiz (theirs and not the Viva Shipping Lines ship) was fielded to the Manila-Iloilo-General Santos-Davao route in competition then with the SuperFerry 1/SuperFerry 8/SuperFerry 10 pairing. In the new millennium the RORO liners slowly disappeared from Southern Mindanao and almost too in Zamboanga. Passenger shipping slowly but continuously weakened with the onslaught of the budget airlines (and the intermodal bus too from Davao) whose fares were already in parity with the liners. Soon, even the hoi polloi were also taking the planes and a new generation of passengers deemed the liners as too slow and wouldn’t want to spend two-and-a-half days of their lives cocooned in a liner although they are fed free. The RORO liners soon became for the ship lovers only and for those who feared taking a plane. In the second decade of the new millennium the Aboitiz Transport System RORO liners to Southern Mindanao disappeared. That was preceded years earlier by the withdrawal of Negros Navigation. Now there are no more liners in Southern Mindanao and in Zamboanga only one liner is left. Soon RORO liners will just be distant memories in Southern Mindanao.